You only thought typewriters were obsolete! Her words sent my memory cells careening! Dusty and almost forgotten, abandoned in the darkness of my office closet, a plastic case hides the forerunner to a succession of many Mac computers – an electric Smith Corona SL470. My husband has often suggested it’s taking up unnecessary space and should be scrapped, or at least donated to a church garage sale, but I can’t quite convince myself to part with it. It’s not antique by any means, and isn’t even my first typewriter. My first was a sleek Olivetti portable, given to me one Christmas by my parents. My dad asked me to help choose it, ostensibly as a gift for my mom, who typed up his business invoices on an ancient Underwood. What a surprise to discover the Olivetti under the tree Christmas morning with my name attached to it! Mom, on the other hand, continued to plunk on the Underwood until receiving a hand-me-down Royal years later from my in-laws. It was a great improvement. The Royal’s keys were wonderfully smooth, and no longer etched circles into my mom’s fingertips. Generations of writers have recorded their stories using typewriters, and some would say creativity flowed much easier than with today’s computers. The ideas poured out, keeping pace with sixty-words-per-minute keystrokes. I’m not sure sitting at a typewriter, hands poised over the keys while staring at a blank sheet of paper, is really much different than sitting at my computers staring at the blinking cursor on a blank screen. The memories don’t provoke many creative ideas, but perhaps the convenience of a delete key and a save option compensate for the lack of any tactile inspiration. I know I don’t miss the Wite-out, or erasing multiple copies sandwiched between sheets of carbon paper. I don’t miss wasted paper balled up and tossed into a garbage can. Or faint lines of type when I needed to change the ribbon but didn’t have a replacement on hand. Then again, there really was something unique about the tappity-tap and ding… something satisfying about flinging that carriage back to start a fresh line. Ah, the nostalgia! I think I’ll go plug in the Smith Corona and give it run, just for old time’s sake. It doesn’t have a carriage per se, but it still makes a good thunk when I hit the return key. What’s been your best writing tool – pen and paper, typewriter, word processor, computer? Any antiques in your closet? This entry was posted in Computers, Life, Photography, Writing and tagged Antiques, Caitlin Kelly, Computers, Memories, Typewriters. At dinner last night I was telling my 17 year old daughter about how I had to type my papers in high school and college and she kept laughing at me. I am so glad that we have the computer now to write on! Your blog made me laugh though. No antiques in my closet (unless you count my husband’s late father’s WWII army jacket). But I learned to type on both a typewriter (in yearbook class) and our home PC. I used to write fiction long hand (the first 100 pages of my first novel were written this way at a fast food Mexican cantina) but I switched to a laptop soon after. No white-out needed! I miss hammering on the old manual’s keys. If I still had a typewriter, I’d get it out and give it a go again. I’d probably go back to my computer right after, lol. 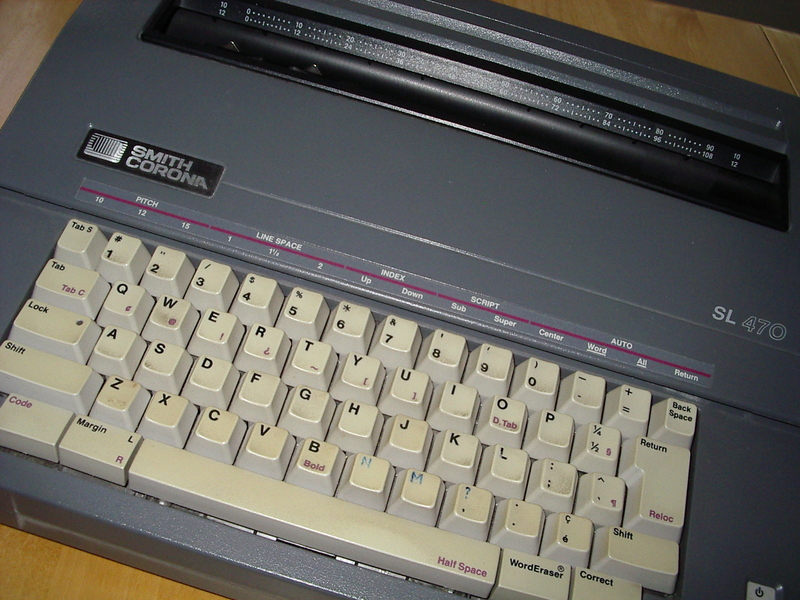 I started writing in longhand, bought my first IBM in 1984. It was a beauty. At least I sure thought so. But one afternoon on my girlfriends old yellow screen Apple and I was sold. Been keyboarding ever since. I remember the old typewriters, too, Carol. I was a legal secretary back when accuracy was THE most important skill, because an error in a legal document usually meant that the entire page had to be retyped. We all seem to have memories of our earlier typewriters but aren’t unhappy to have seen them go in favour of our more efficient computers. The ease of deleting has made me a more careless typist than I used to be. Carol Ann mentions the need for accuracy in typing legal documents and that must have been such a challenge. Can you imagine? No corrections allowed! Brought back my memories. I too had an Olivetti portable at home – my uncle from Canada gifted it to my mother in the early 70’s. I was the only person in my family who learned typewriting and and used the Olivetti. 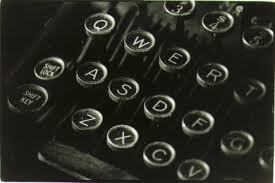 As you said in those days we typed in each word very carefully because there was no provision to delete or to undo. Hello, I found your blog through the daily post a few days ago, and I really enjoy reading your posts. I can’t say I grew up with typewriters at all, as I was born in ’89, but I remember my moms boyfriend who had a typewriter he got from his father. I really enjoyed it, and I found myself writing many a short story on it – the most thrilling was to watch how the letters shot forward towards the paper as you pushed the keys! Nowadays I usually sit by my computer, but even so, I still like to bring out the old pen and paper – its something special with handwriting. oh god i dont think i can cope with the workings of a typewriter!! I don’t miss the white-out or the inability to edit at all. But then my transition to computers came pretty early. Yes, I learned on a regular typewriter and owned one, but in HS we had Apple IIc computers. You may not remember them, but they had no hard drive – none – they booted off a floppy disk. The IBM equivalent was the 8088 machines. When I started taking computer science in HS, I learned how easy it was to write on a word processor compared to a typewriter. I could actually edit before printing! It was a shock. Of course, this meant I was the only one in English class turning in my essays and stories on that curly scrolling thermal paper that the printers used back then. LOL. I think my English teacher hated it. But it was the future, and she knew it. For a years afterward, I’d set my monitor to use green screen mode to write. I’d just gotten used to having the text in green on black. Those glowing words were cool. I don’t miss typewriters at all! I used to write everything longhand but now I do the majority of my writing on my computer. Writerdood wondered if I remember the Apple IIc computer. I’ll never forget it… it was my very first computer and I started a business using it. The thing I find most amazing is the price. I really wanted to buy one of those computers, but they were $1200.00 dollars. Think about the computer you can get for $1200.00 today. Since I couldn’t afford one, I ended up buying a Commodore 64. It had a tape drive (tape)! Took about a half hour to load a program. Our accountant who lived next door had a IIc though. I remember going over there to “borrow” it with his son so we could play Wumpus Hunt. I got to say I love modern gadgets like laptop 🙂 ‘coz it is less painful for the fingers and loved delete than white wash 😀 But, pen and paper never go out of style as initial tool for ideas. I have to agree with Yor… pen and paper will never go out of style, no matter how far technology takes us! I have a 1940’s, gray Royal that I was fortunate enough to come across in the ‘seventies’ when I was still a teenager, and aspiring writer. I’ve always loved things that are old and have a lot of history, and this just ‘screamed’ at me that my destiny lay within the words I could type from it’s glass keys. I took it home, placed the heavy piece on my flimsy desk, and pounded away for a while. Shortly after it was replaced by my father’s, encased, portable and this vintage beauty found a home in the corner of the basement, unused. I had several typewriters after that portable; eventually arriving at the computer I use now. I have none of them, but kept the heavy, vintage Royal that I’ve moved with me from place to place for the last 30 years. I don’t know why. Perhaps because it reminds me of dreams I once had. Maybe also because I was so delighted years after to find it was the typewriter that Jessica Fletcher typed on in the series “Murder She Wrote”. Sadly, my youthful aspirations were never fulfilled, but I only have to finger the keys of this beauty that now sits in my spare room to remember how once a young girl believed anything was possible, and how magical that felt. From how you’ve written this message I’d say you have a writer’s heart. Maybe those aspirations have only been waiting for the right time in your life. It’s never too late to begin writing! Thank you, Carol. I take that as a great compliment coming from you. By the way, I love your blog. It makes me smile when I don’t feel much like doing that. I had a Smith-Corona manual. I sold it in a yard sale before I got married. A little boy wanted it. His father, amused said, “You want that? You sure?” I think he was fascinated by the way the keys moved. I had to explain to him how to roll the paper into it, though! I am an editor and when I receive handwritten mail, I find them incredibly hard to read. Handwriting… there’s another thing gone the way of the typewriter. They introduce computers to kids in preschool now. Good handwriting is a dying art all right, but it shouldn’t be. I don’t mind youngsters learning to use computers at an early age, but IMHO, cursive is a skill that should be encouraged not discarded. You like typed words if you are reading this review and considering this movie. Great start! I am a writer. I just bought a 1958 Royal Futura 800 from Bob Green in Amherst (one of the gentlemen interviewed in this movie). I love it. It has changed my writing world. The typewriter is there when I am ready to write. There is more to it than just not being distracted by the laptop fan and internet. The manual typewriter sits precisely where you left it, at one spot on the page, whether you go away for a minute, or for a day. The next key you hit is the next printed letter, regardless of when you hit it. There is no screensaver. There is no hibernation. There is no re-booting. It is silent and ready, a sentry with one purpose: to put my thoughts immediately to paper. 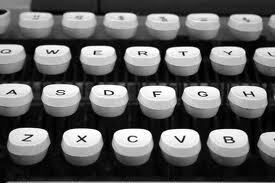 Why use a typewriter as an author? It makes me think. I can type faster than I can think; I needed a set of “brakes” to slow down; a computer keyboard and mouse was not enough. It’s the difference between driving and walking. Drive a car along the winding road through the woods and you will get to the end faster. But, walk the edge of the winding road and you will feel the cool air and smell the woods. You will hear the birds. You will sense fear when you hear a rustling in the brush from an unseen animal. You will get wet when it starts raining. The typewriter is a walk, not a drive. It is feeling, not just doing. You enjoy the editing first on the paper itself, a tactile experience. You have a stack of pages that you can scribble on. You can jot notes. You can add arrows and circles and squares and your own personal symbols that you cannot do with editing on a computer. 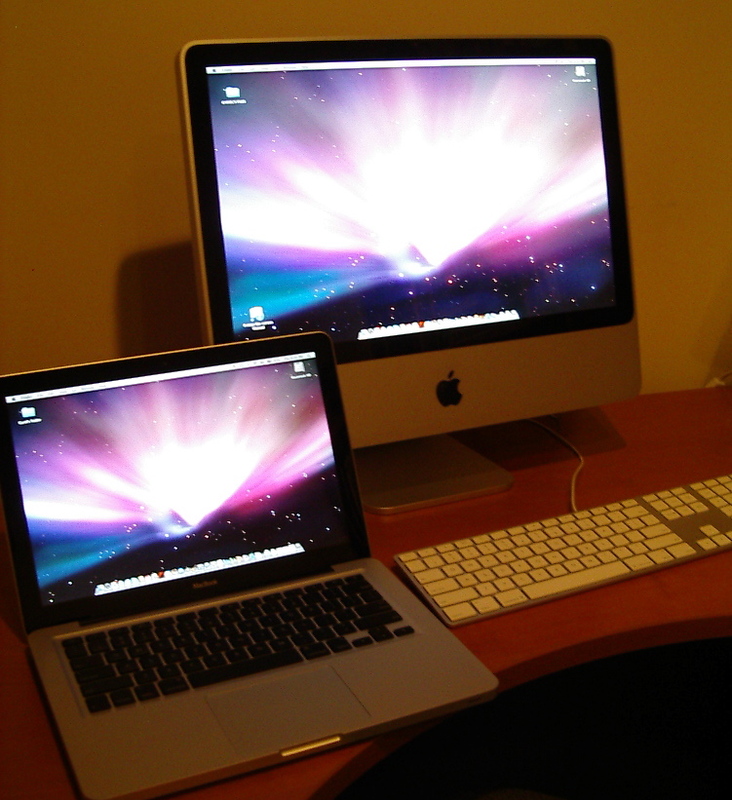 I own an Apple Macbook Pro and a Windows PC, but I no longer use them for first drafts. I use the Royal Futura. Then, when I have the original typed draft and a thorough edit on the typed page with swirling red pencil and little smiles next to the parts I like, I read it all into Dragon Naturally Speaking voice recognition software directly into the word processing software. It’s amazing the mistakes I pick up–dialogue that is unnatural to the ear, word redundancies, etc.–that I immediately fix after I’ve read the piece into MS Word. So, by then, I have the rough draft, the first pencil edit, and now a read-out-loud edit, all before I have composed with one key on the PC. It’s a great feeling of mastery. I now have the computer copy to share, email, edit further and tweak to my hearts content. It’s amazing how few think of the eighty dollar voice recognition software that can release a writer from the single most noted reason for not writing on a typewriter: the editing. I can bring my manual typewriter to the kitchen table, to the desk by the window, or to a card table set up by a lake on a sunny day; no power cord, no batteries. 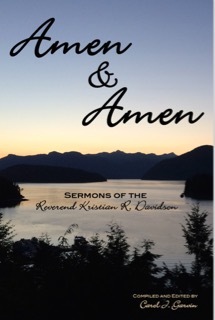 My fingers provide the energy of the word by moving the keys and creating the strikes. If I’m angry, they strike hard and make big dark letters. If I’m sad, they are faint. The print expresses my emotions, hard or soft, just as piano keys under the fingertips of an accomplished pianist. If I send you a letter hand-written, you may not be able to read my penmanship, my curse since childhood. If I email you, you will read it quickly and it will go to your “dead email” file and someday be purged. If I hand or mail you or a typed note, with the quirky dropped “k”s and unique font of my own Royal, you will study it and read it–twice, maybe even three times–and you will think about it. You may or may not save it, but you will at least think about it. That is all I can ask as a writer. Great blog post, Carol. And it still comes up in web searches in 2013. I have no objection against laptops or computers, or any of that rubbish. But they are so so so, dull. They just are. Since the 1990s, not one laptop has looked as good as my typewriters. They are special. Yes, if you aren’t patient enough, maybe it isn’t for you. But saying that a laptop makes you a smoother writer is something you shouldn’t be proud of. The language arts of this day and age, have shrunken considerable, to the point where there are people around me THAT CAN’T SPELL PROPERLY. Text documents are written like they have been tapped out on mobile phone. It is a disgrace. I am very sorry to say this, and i am not saying this because i am one of those “Sad soddy hipsters, who likes typewriters” but i am saying this because i care for my work. Typewriters tell you RIGHT IN YOUR FACE that you are making mistakes, your work is sloppy and that you should retype your work. 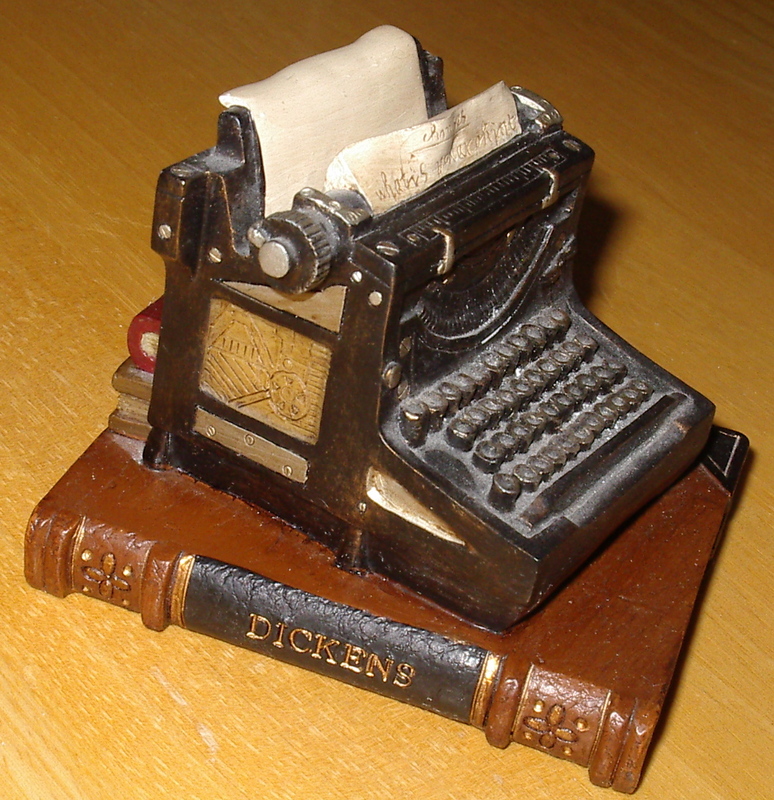 Typewriters are still being used today, because there are still people around that care a little for their work, and that don’t want to be distracted by…for instance, posting a comment on a blog like i am doing now. Oh, and then there is the part of sending a letter or having the actual document in your hands. Yes, paper makes your office messy. But the excuse for the trees is faint. I am very for the environment. But i can assure you that the radiation your WIFI is producing is a whole lot worse then typewriter paper, and so is cars and trucks. People are just lazy, it isn’t a opinion, it is a fact. For people today to be looking back at those machines, worn down from use, makes them exhausted already. The world is turning into a gigantic couch potato, and the typewriter is a piece of machinery, that could be making a change in that…for the better. Please consider this before you turn down the predecessor of your cell-phone, laptop, computer and touch screen ipad. If it wasn’t for the typewriter, you wouldn’t even have half of the stuff you have today, that’s what it has done already. And it isn’t done yet.